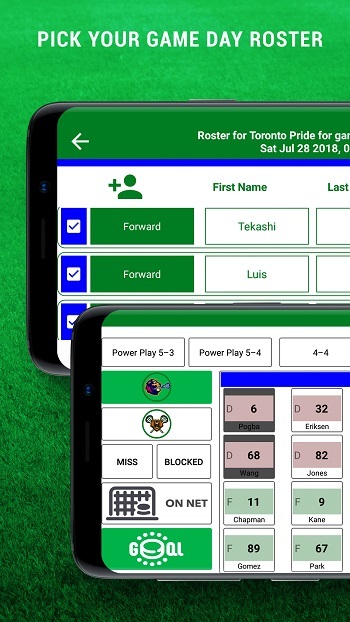 iTrackLacrosse is an easy-to-use App that allows coaches, parents, fans and scouts to track players’ and teams’ performance. iTrackLacrosse was designed in collaboration with lacrosse players and coaches for the purpose of improving everyone’s ability to keep track and learn from a variety of events during a game. Lacrosse coaches typically use an arsenal of tools to deliver success. 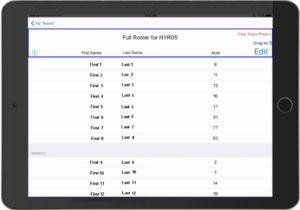 These important tools include the ability to track and learn from players’ performance as well as to review and analyze historical information against opponents. 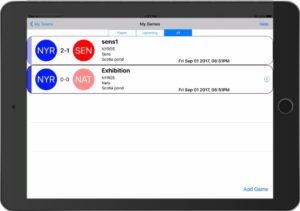 iTrackLacrosse collects all of the required information simply by recording easy screen ‘taps’ on your iPad during a lacrosse game. By simplifying the data collection process and delivering visual and statistical results, iTrackLacrosse can enhances anyone’s ability to easily access historical game and player information. 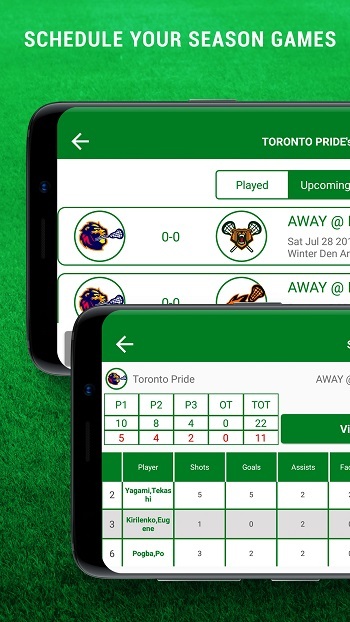 Our intuitive App design allow users to quickly record game events by tapping on the rink/field and quickly recording the relevant game event. Your game report is automatically emailed to you immediately upon sending game data to the cloud. iTrackLacrosse was initially released for Box Lacrosse. Field Lacrosse (Men / Women) is schedfuled to be released soon. 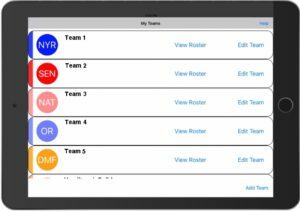 The App allows you to add your team and roster and track games against opponents. We are a group of parents, players, fans and coaches, that happen to have a ‘day job’ as software developers. We were looking for a lacrosse stat collection App that would be easy to use. Since we couldn’t find one – we decided to develop iTrackLacrosse. The premise of this App is simple: Provide people like us with the EASIEST way to collect lacrosse stats. Do I need to be using Wi-Fi for the app to work? Can I review stats after a game without the reports? What is the report that is emailed? Is it included in my cost? Are we allowed more than one user for the coaching staff? Can you connect to or sign in on multiple devices? Does the App include Assists? Can I change Results AFTER a game is complete? No. The App works OFFLINE; our assumption is that there is no connectivity while you record stats. The only time you need connectivity is: (a) To purchase game-tokens (since it is done from the App store), and (b) To receive your game report. Yes. You can view stats while you record the game (bottom left STATS button). You can also view stats for your game(s) after they are completed – for any game on your device. our game reports are included in your cost; simply click on EMAIL REPORT (while you are connected) and the game reports are emailed to you automatically. You can also resend any desired game report upon request (connectivity is required). Each game report includes about 9 pages (!) 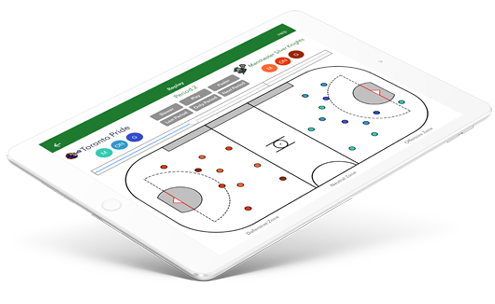 with sections highlighting specific components of your game as well as year-to-date totals. Each user tracks specific teams – but you can log on with the same user from multiple devices. When you log onto a new device with the same user credentials, the team, roster and competitor teams are automatically downloaded to the other device (can be Android or iOS). You can then record a game on the second device (or third device, etc) – and receive your game report. Your year-to-date accumulating stats will update accordingly, however, each device will only store the games recorded on that device. Credits cannot be transferred between devices (at this time), so you will have to purchase game tokens for each device. When a goal is scored, after tapping on the goal scorer (highlighted in green), tap twice on another player, which is highlighted in yellow (assist). If you tap 3 times on a player, it is highlighted with GREY (on the ice). Therefore, for each goal you can mark 1 goal scorer, up to 2 assists, and up to 3 one-ice players that will receive a PLUS. Finally, when you record events (the screen that lists the player numbers), if you tap (top of the screen) on the penalty-kill or power-play buttons, the App automatically adjusts plus/minus since a player does not get a PLUS point if the team scores on a power-play, etc. After a game is complete, and before you send data to the server, you can change goals / assists for a completed game. This can be done from the STATS page by clicking on the heading GOALS. This way, you can update the assists and +/- after the period or after the game. Once you send data to the server, you cannot modify any more events. We are working on a portal version, in which users will be able to view, run reports, and possibly update stats using their browsers. This will be released in the coming weeks. We welcome comments, thoughts, and suggestions.